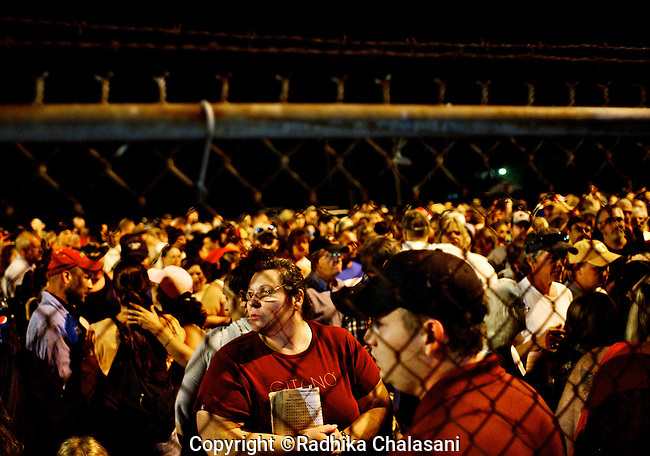 WISE, VIRGINIA-JULY 25: People wait before dawn to enter the Virginia-Kentucky Fairgrounds for free medical care from the Remote Area Medical (RAM) Expedition in the heart of the Appalachian mountains. Many have slept overnight in their cars, trucks, RVs or in tents July 25, 2009. The two and half-day event helped provide health care for 2,715 people, most of whom are uninsured or underinsured with unaffordable co-pays or high deductibles for their insurance policies. RAM, operating in 5 states this year as well as overseas, provides free medical, dental and vision care to people in need. Organizers estimate that they provided over $1.6 million USD worth of care during the two and half day makeshift clinic.